A little snow, but potential for significant ice. That can cause power outages and slippery travel. Lots of people like snow, but nobody likes ice. Unfortunately, our chances for snow are going down, and our threat for ice is going up. 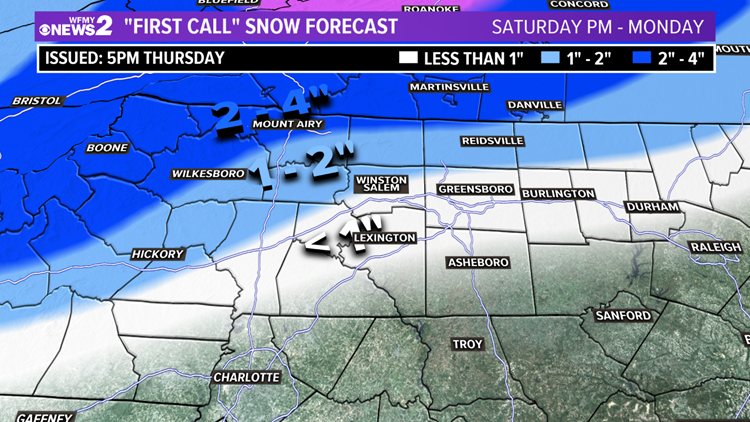 The WFMY News 2 Weather Team has been tracking this winter storm all week. We're cold and dry now, and will stay that way through Saturday morning. This cold air locking in is key to setting the stage for winter weather in the Carolinas. It's likely that our storm will start out Saturday evening, most likely as a mix of some snow and rain showers. It may take a little while for them to stick at first, but some light accumulations are possible through Saturday evening. By Sunday morning, warmer air will be moving in above the ground, which helps turn the snow threat into an icy mix threat across most of our area. This threat of an icy mix of sleet and freezing rain will continue through much of the day Sunday. Some of us will have the chance to turn into a regular rain for a time, mainly areas south of I-85. How much? Well that depends on how the line between snow and ice sets up, but most of us will see little in the way of sticking snow. Generally an inch or less. Farther north, an inch or two is possible. The biggest concern with this storm is the threat for freezing rain and ice accumulation. 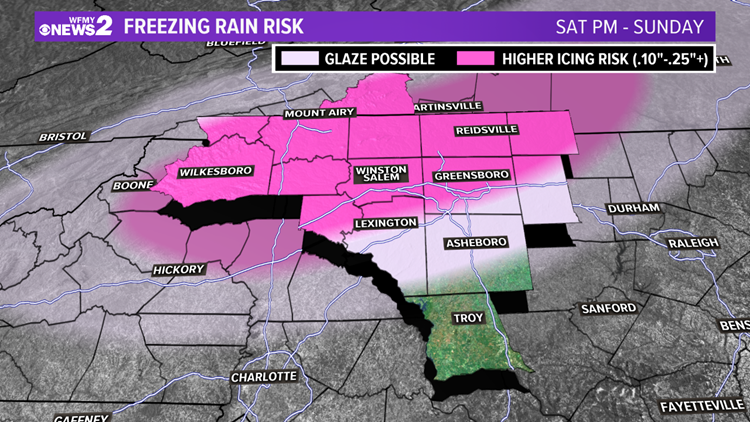 Here are the areas that our team believes have the biggest risk for an icy glaze, and more significant icing. Power outages could be a big concern if we see enough ice accumulate. Usually, power outages become an issue when we see over a quarter-inch of ice. Slippery travel, especially on bridges will be likely by Saturday night into Sunday. Potentially lingering into Monday. 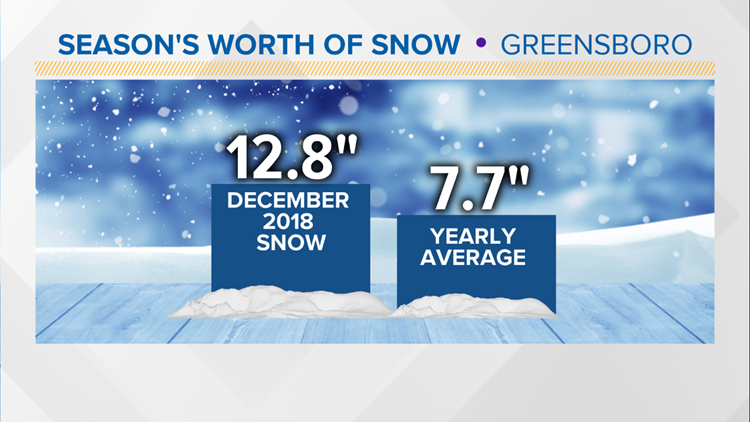 So far this season, we've already exceeded our average snowfall, so if we do get snow this weekend, that'll just add to the total. Our average snowfall in a year at PTI Airport is 7.7", but after our historic December snow event we are already over 12". We'll keep you updated on the development of this system as we head through the week both on air and on line.